Have the Horizons of Gaming Become Clouded? - Tinaciouslee! Have the Horizons of Gaming Become Clouded? Microsoft has unveiled the latest update from its cloud-computing service, Azure, in a demonstration at the recently concluded MS Build Conference. Slated to be Microsoft’s answer to Google and Amazon web services, Azure utilizes the power of the cloud to “enable new kinds of experiences that have never been possible”. 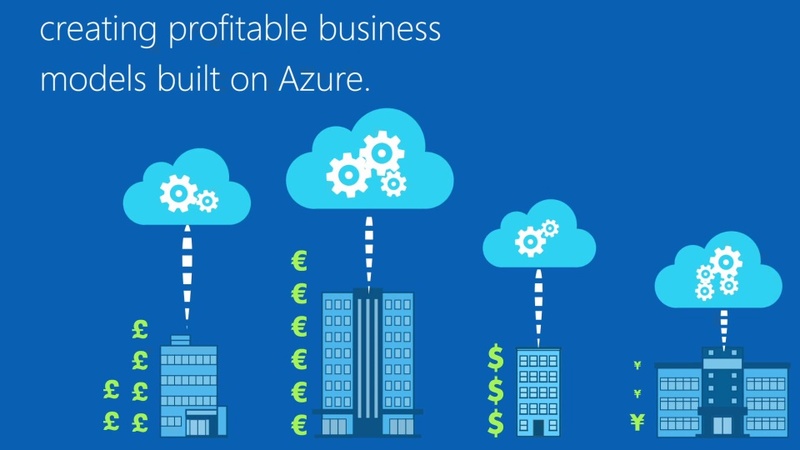 At the Build 2014, held in San Francisco, Microsoft introduces a one of a kind cloud ecosystem within the Microsoft Azure. The new service promises to deliver fully integrated cloud experience, allowing users to access cross-platform technologies, tools, and services, all in one place. Aside from adding .NET backend support, offline data syncing and Active Directory authentication system, the Azure platform can be used to enhance your current games. Game developer Respawn Entertainment utilized Microsoft Azure for the Xbox One shooter, Titanfall. The demonstration, which you can watch here, Microsoft highlights how Azure can utilize the power of the cloud to improve gaming by faster rendering of the events for players. As part of the second-day keynote address at Build, the demo team measured a typical PC’s GPU performance with that of a PC connected to the Azure cloud service using a simulation of a building being destroyed via rocket launchers. On the demo, the PC that was running without being connected to Azure was working at a greatly reduced frame rate of 2 FPS. This is due to randomly generated debris and particles showing on the screen, affecting the PC’s PGU performance. On the other hand, the PC rig connected to Azure service maintained its 32 FPS frame rate and was able to handle all physics computations. The simulation, which is a prototype, illustrates the next step in gaming. While there’s no word on when the service will be offered, Microsoft is showing the kind of features which can be utilized using Azure and how amazing it would be if cloud computing could be integrated into gaming development, particularly in first person shooter games. Now that the new Azure is out and it’s promising a myriad of features, the question is, are developers willing to give Azure a try when similar more established cloud infrastructures like Amazon and Google, are offering massive computer power at better price points? Developing apps and tools for the cloud is certainly challenging for developers but Microsoft promises to simplify the process, and promising to deliver benefits without compromising speed, scale or cost. Microsoft definitely has a lot of catching up to do. But with the unveiling of the new Azure updates, Microsoft is hoping to separate itself from other cloud by offering app operations and tools for development. In addition, while the demo looked promising, the technology behind it is still in its first stages. One obvious caveat about utilizing Azure for gaming is that the service will require computing factors and bandwidth connectivity to play a game. This isn’t possible in everyday scenario. Such games will require higher speed of internet access, which is fine if you live in the city but for many of us who doesn’t live in the city, such speed is downright impossible to achieve much more, maintain. Another factor that game developers will need to hurdle when integrating Azure services into their games is the downtime. In the past, Microsoft Azure was down for 8 hours across the country, leaving hundreds of subscribers seething. The outage shows how moving essential services to cloud-based platforms do not guarantee uninterrupted service. Microsoft leaves every other cloud-computing vendor in the dust (at least for now) with its Azure cloud-based infrastructure but the tech giant has barely scratched the surface as far as the potentials of cloud computing go. While cloud-based gaming leaves more questions than answers, because technology is still limited, there’s no doubt that this is an exciting time for gamers.